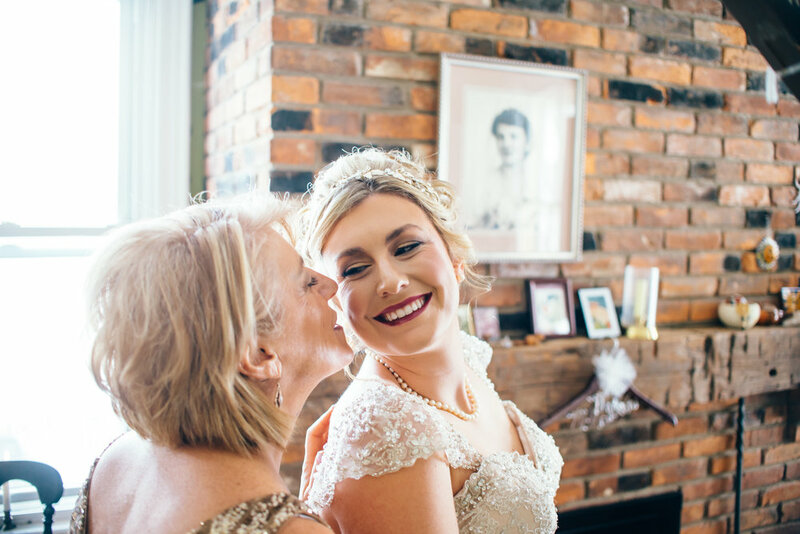 One of the obvious benefits of a holiday wedding is that it's likely that family will be in town. 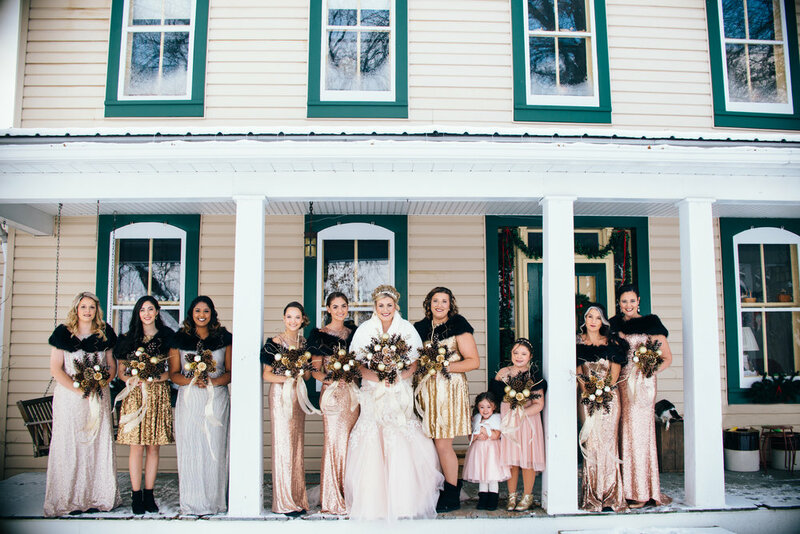 If having those that you love close for your wedding is important to you, this is a big win. I've photographed a lot of weddings around Labor Day or Memorial Day, which is really smart in my opinion because most people have off the following Monday - which means an extra day to recover from all the shenanigans! Be sure to book flights and blocks of hotel rooms well in advance, however, because a lot of people will be traveling and staying during these times of the year. 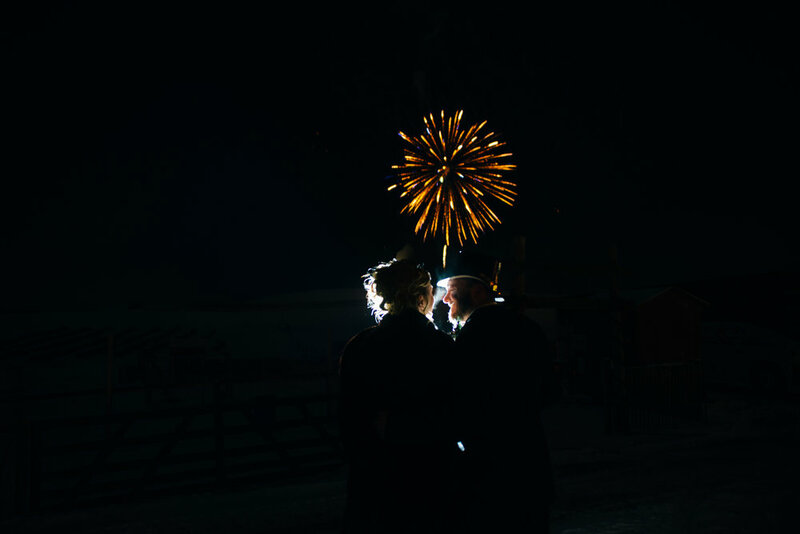 As you grow old and gray together, think of how special your anniversary will be enveloped in the special traditions you normally do around the holiday. 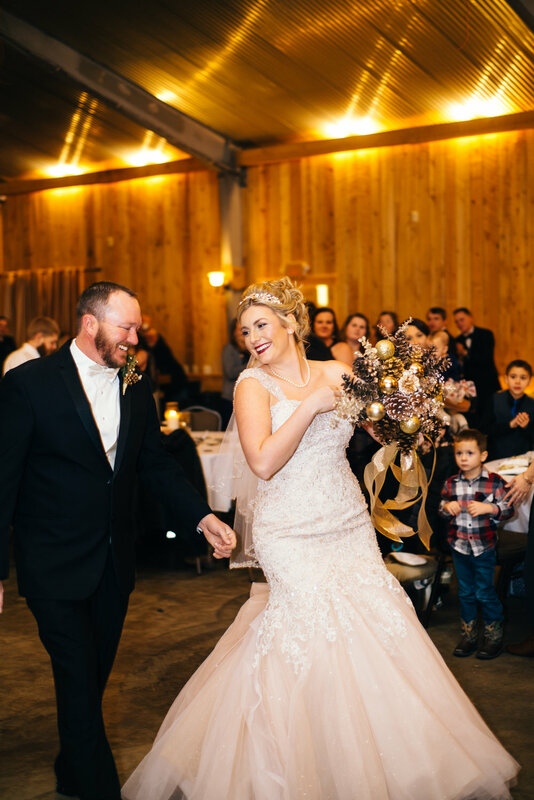 While still enjoying all of your normal traditions, it will be that much sweeter to mix celebrating your love in with it! 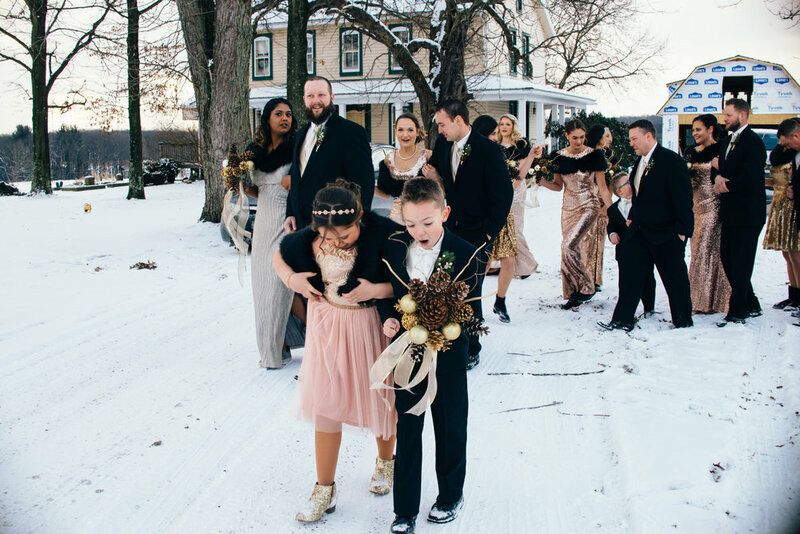 It's likely that family will be close by for the holidays anyway, and how special will it be to reminisce with everyone about how magical your wedding day was?! Plus, the big perk - your husband probably won't forget your anniversary! A really fun part of a holiday wedding is the decorations! If you are unsure how or what to decorate with, most holidays come with "usual", iconic things that people can immediately identify with. 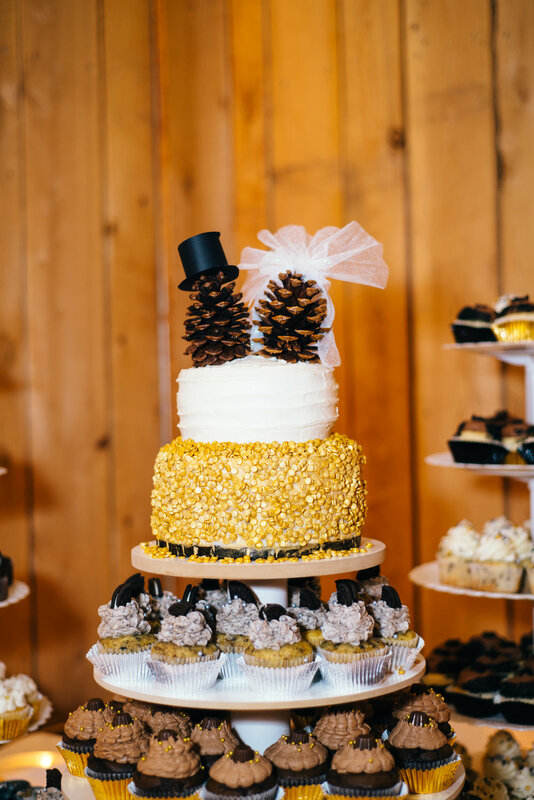 This also allows you to have some fun and go a bit non-traditional from the normal flowers and candles, incorporating anything that is special to you from pumpkins to pine cones. 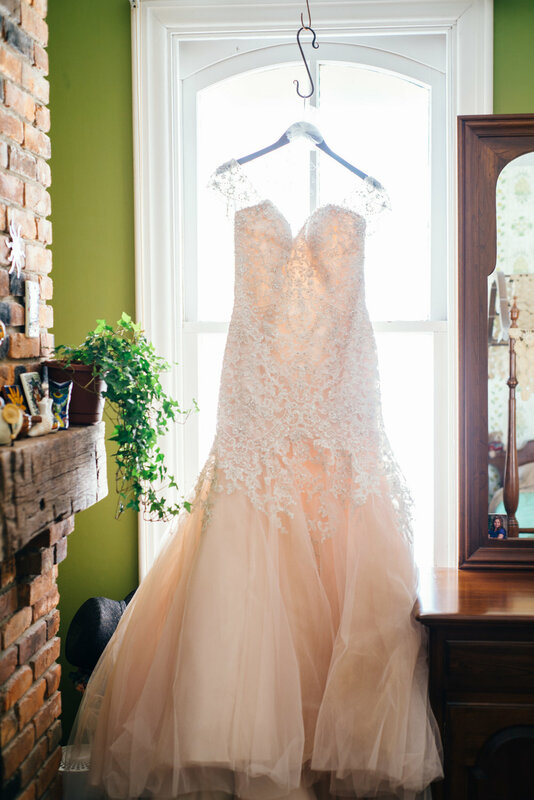 You can even extend this idea into the type of dress you and your guests wear! 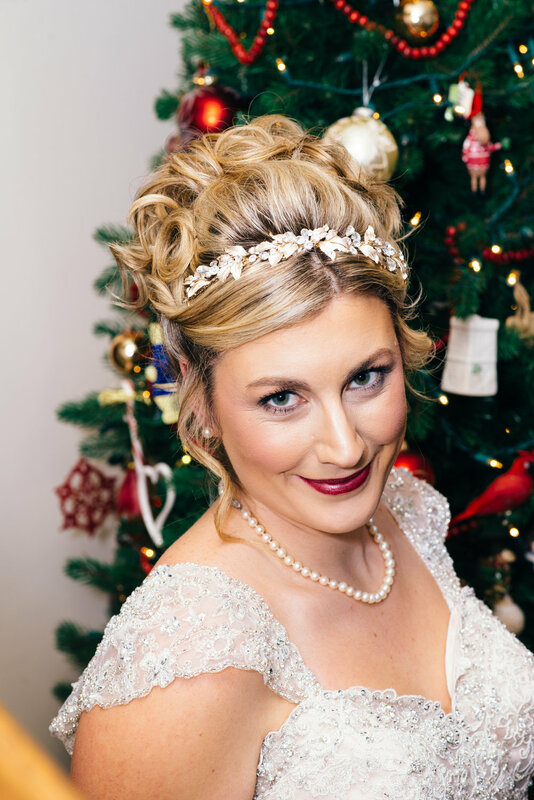 What does Casey, the lovely bride featured here, have to say about having a NYE wedding? "Do it!! 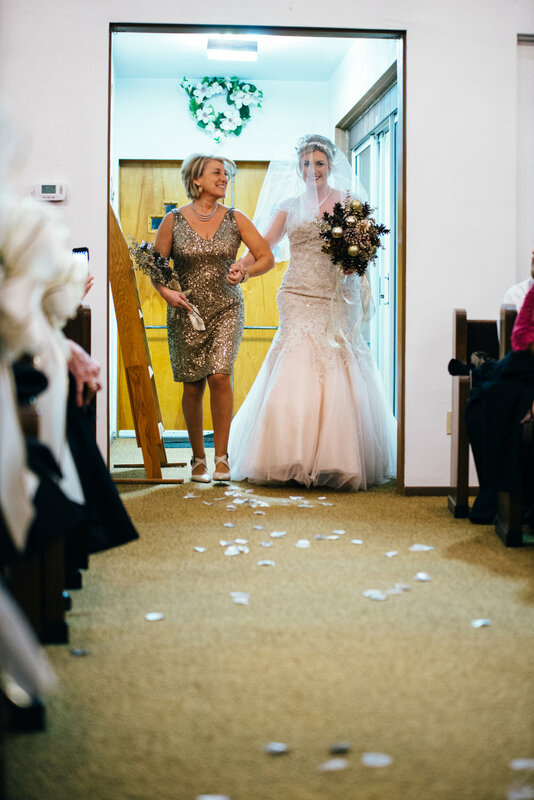 It’s a really crazy time of year and I remember saying to myself on Christmas Eve, “who said it was a good idea to get married the week after Christmas?” But in all honesty, if I could do it all over again, I’d pick New Year’s Eve every time. Jon and I picked that day for a couple of reasons, first of all we never have anything fun to do on NYE so it seemed fitting that we would just throw the party this year. The second reason is that NYE is the first time Jon realized I existed when he saw a picture of me on Facebook that his cousin (and my best friend Rachel) posted of us, so again, it all seemed fitting. 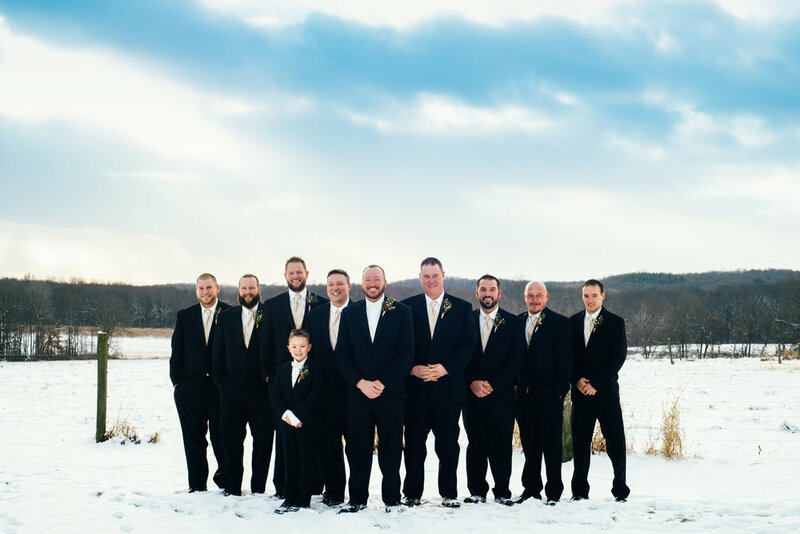 For us, the actual wedding was all about getting family and friends together to celebrate and getting married on a holiday is the absolute perfect time to do it! I don’t think it even matters what holiday it is, just the fact that you were all going to get together anyways but now it makes it extra special! As far as advice to those brides who want to get married on or around a holiday: have fun with it! You picked that holiday on purpose, so party it up! 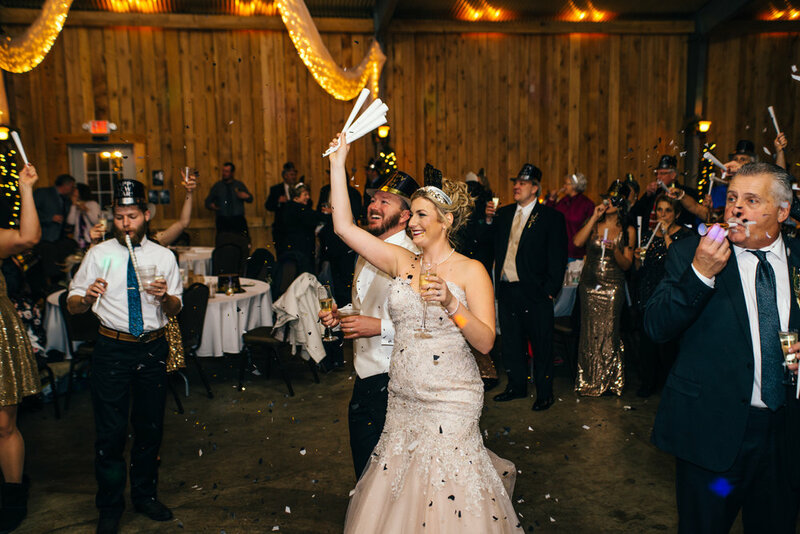 We incorporated NYE with putting out hats and noise makers our around 10:30pm that way they weren’t in all the wedding pictures but we wanted it to be a wedding/NYE party. 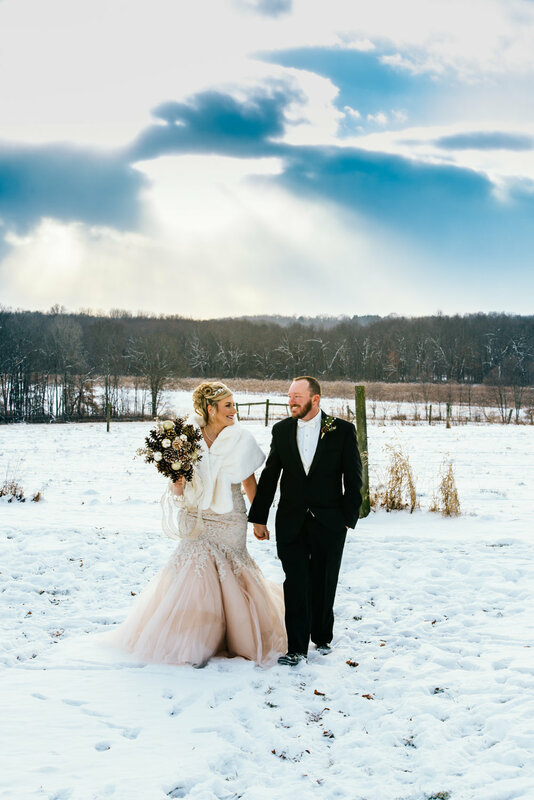 I think it took the stress away from “the perfect wedding” knowing that it was also a party to bring in the new year. When I did start to get a little stressed, I just kept telling myself, it’s just a New Year’s party and I already have my outfit picked out so I’m ahead of the game! " and the marriage is about celebrating for a lifetime."